Posted on 17. Nov, 2010 by Corey in All, General Baseball. For as long as I can remember, I have also been a “uniform” guy. Not that I like to wear one, but I enjoy and understand the role they play in athletics. They are a big marketing tool for a franchise to stand out above the rest, and can also be a very large money maker. I am one of the idiots that stood in line after the Cincinnati Reds clinched the National League Central Division Title to clearly overpay for the official items in the team store. I also acknowledge the other side of the coin, with teams like the New York Yankees, who keep things simple, and have not been known to switch anything in some time. But during the offseason in Major League Baseball, I will take notice when a team does a fashion show to release a new product. 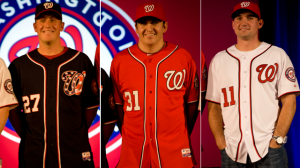 For the third time in five years, which I feel is a little excessive, the Washington Nationals released new uniform designs that the players will be wearing on the field during the 2011 season. I could not help but laugh as they looked like jerseys that should be worn at Walgreens by the Pharmacy technicians. For some reason, the club decided it would be a great idea to play off of their curly “W” logo that had been used as an alternate. The team name, “Nationals,” has been taken off of the front of the home and alternate uniforms being replaced by the curly W on he left chest. The team released a statement saying that the “Curly W is the team’s most identifiable mark and a definitive symbol in the Nation’s Capital.” That may be true, but I think it is a bad look. Just take a peek at the photos I have below and you will agree with me. Luckily the road uniforms will still remain grey with the name “Washington” across from the front, so fans can figure out who they are watching. The team also announced that the curly W will be seen much more around the stadium and in printed materials. They explain that this was a feeling they received from the fans. 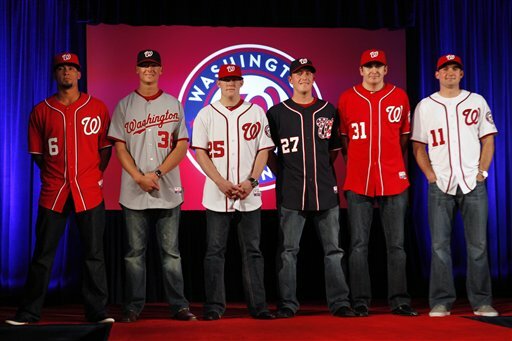 I guess this explains why I am not a huge fan of the Washington Nationals. I am not saying I dislike the single team logo on a jersey instead of the block lettering. 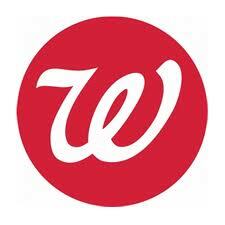 I am just wish Washington’s did not remind everyone of shopping at Walgreens. Here is an idea, build a winning team and hang some postseason banners in your nice new beautiful stadium and stop changing your uniform every other year.